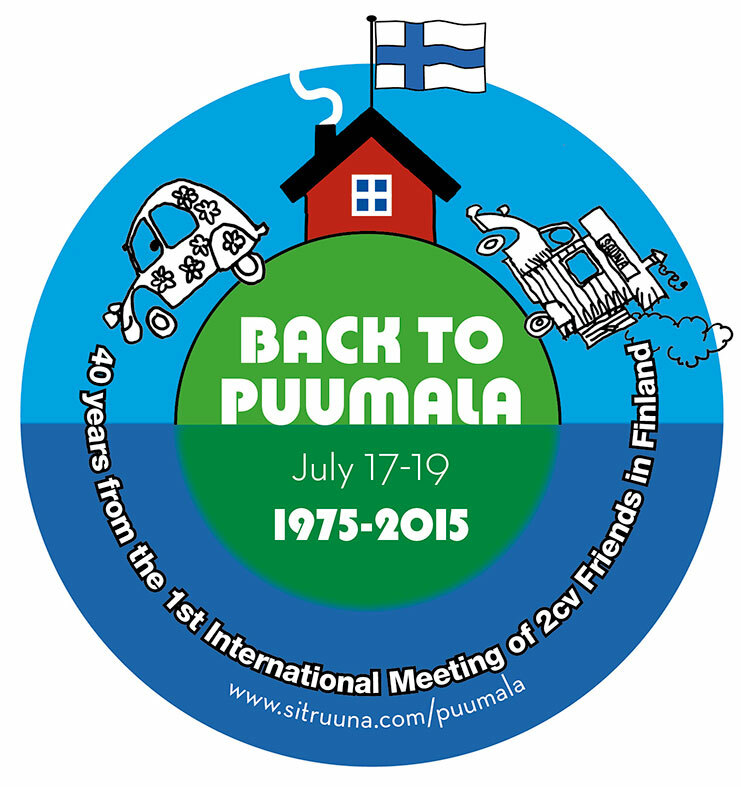 AFTER PUUMALA: THANKS - KIITOS to all participants! - 102 cars and 163 people turned up from 14 different nationalities, even from such places like Australia and New Zealand. - Longest way with a 2cv was driven by Vincent L from France with 4 people onboard. - There were more than 20 veterans of the "1st International Meeting of 2cv Friends" of 1975 present at the meeting. Much respected! For many of us, the trip continued immediately towards the worldmeeting in Poland, like for participants of "Raid PolPol" and "Raid PPP". 2620 cars came to Poland, maybe a little less than expected, but the Polish friends did a good job. We would be very happy to receive your photos as well. If you write any articles about the meeting, we would be glad to see them as well. 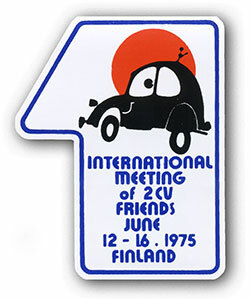 In 1975, exactly 40 years ago, the "1st International Meeting of 2cv Friends" happened in Finland at Puumala, Pistohiekka. We would like to celebrate the anniversary. A site has been found on a beautiful lake island nearby for the event. 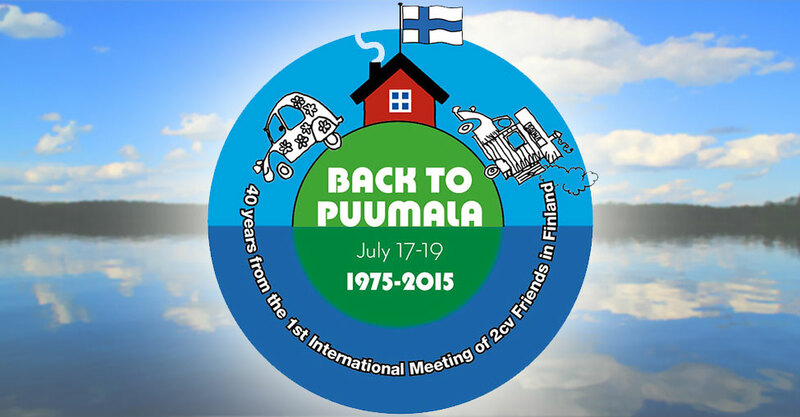 Back to Puumala is not any official celebrative meeting, just a small rendez-vous in the spirit of the ancient 2cv worlmeetings, before they grew into today's scale. 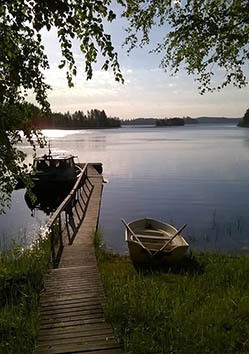 The stay is based on do-it-yourself activities in good company and camping next to Finland's biggest lake "Saimaa". 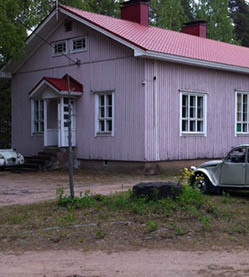 An old wooden schoolhouse and sauna building will be at our disposal. 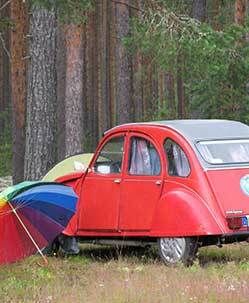 The site is also going to be the crossing point for two international 2cv raids heading to Poland. 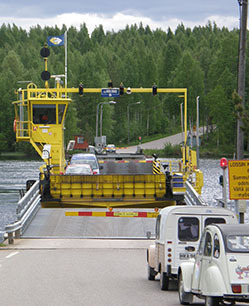 A short road ferry crossing (free of charge) is needed. 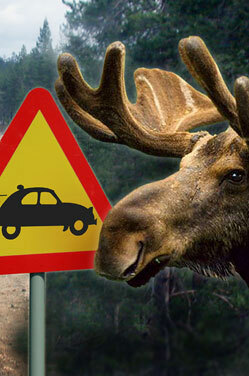 if you are interested, please contact us: fin2cv-ät-saunalahti.fi. The site has limited capacity. 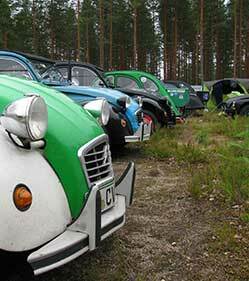 The event will be arranged by a volunteer group of Finnish 2CV friends on non-profit basis. 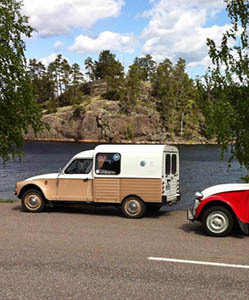 - 40 ans après la première Rencontre Mondiale des Amis de la 2CV en FINLANDE. La rencontre se déroulera suivant le principe de "créer vous-mêmes vos activités" en excellente compagnie en camping près du plus grand lac finlandais : le SAIMAA. 1975, genau vor 40 Jahren, fand das 1. 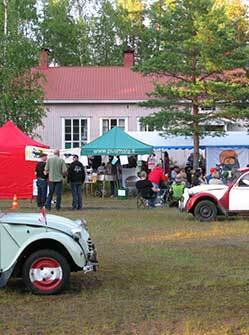 Internationalen Treffen der 2CV-Freunde in Puumala (Pistohiekka) statt. Wir haben einen Treffenplatz auf einer wunderschönen Insel in einem nahehgelegenen See gefunden, um das Jubiläum zu feiern. Es wird kein Treffen in großem Maßstab werden. Das Treffen beruht auf selbst organisierten Aktivitäten in guter Gesellschaft und Camping in der Nähe von Finnlands größtem See "Saimaa". 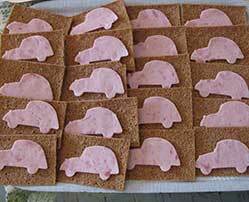 Willkommen auf einem "Umweg" über Finnland auf dem Weg zum 21. Welttreffen in Polen, um mit uns zu feiern! Det är 40 år från det första internationella Lillcittra-mötet i Pistohiekka, Puumala, Finland. Denna årsdag firas på en gammal skolgård på en fin ö i närheten av Finlands största sjö Saimen, inte långt från Pistohiekka. Detta småskaliga arrangemanget skall bestå av ”do-it-yourself” aktiviteter tillsammans med goda vänner. Välkommen! Ta en omväg och fira med oss i Puumala före 21. Världsmötet i Polen! 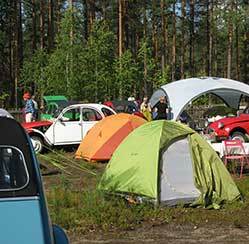 A 40 anni dal 1 ° Incontro Internazionale di 2CV in Finlandia. Tornare a Puumala non è una riunione celebrativa ufficiale, solo un piccolo rendez-vous nello spirito degli antichi world meeting 2CV, come erano intesi un tempo, prima del grande sviluppo. Il soggiorno si basa sul fai-da-te, attività in buona compagnia e il campeggio vicino al lago Saimaa il più grande della Finlandia. Una vecchia scuola ed una sauna con l’edificio in legno sarà a nostra disposizione. Il luogo scelto è inoltre sulla strada per chi è diretto al Mondiale in Polonia.